Paint is one of my favorite things. It can literally turn a garbage piece into a statement piece in a matter of hours. It's inexpensive, easy to use and extremely versatile. 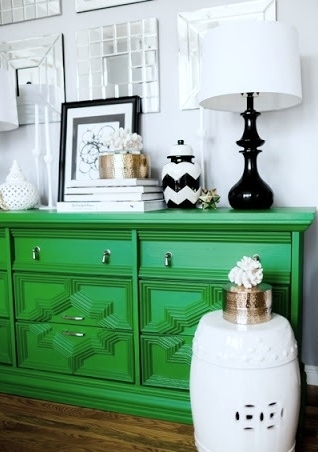 Paint can give a standard dresser personality and it can provide life to an entire space. 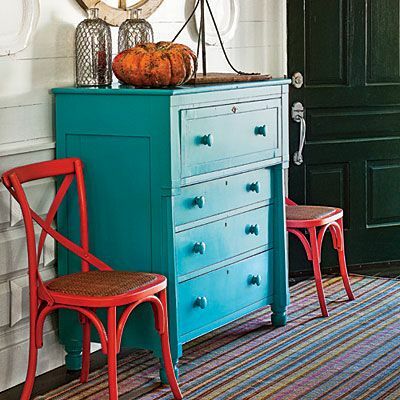 Because of paint's wonderful characteristics, painted furniture pieces are everywhere! The threat of 'ruining' family heirlooms and antiques has faded and people are beginning to slather every surface with the bright stuff. Here are some of my favorite [ POW! ] pieces. Who da thunk? 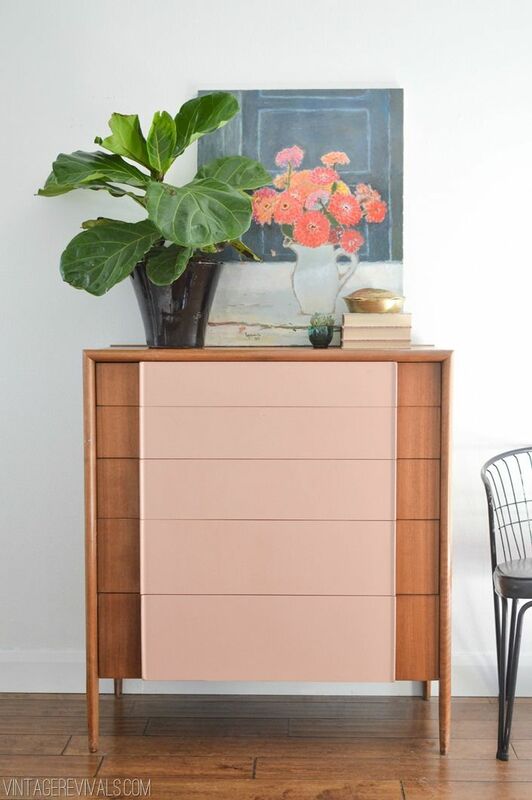 A creamy wide strip down a dated dresser equals magic. via: can't currently find, but will update when I do. See! 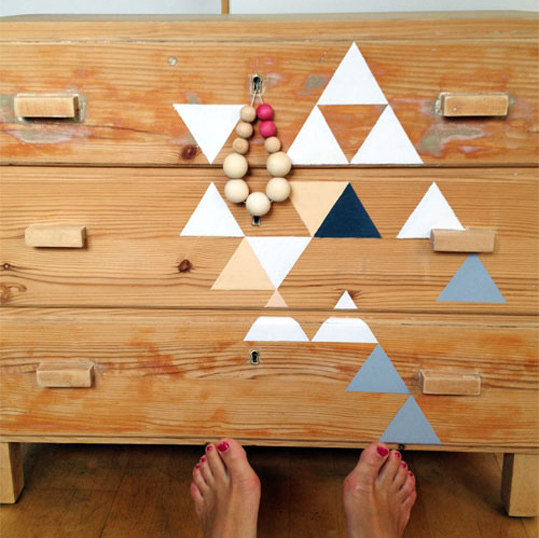 Painted furniture doesn't have to fall under the category of shabby chic (I don't like that stuff). 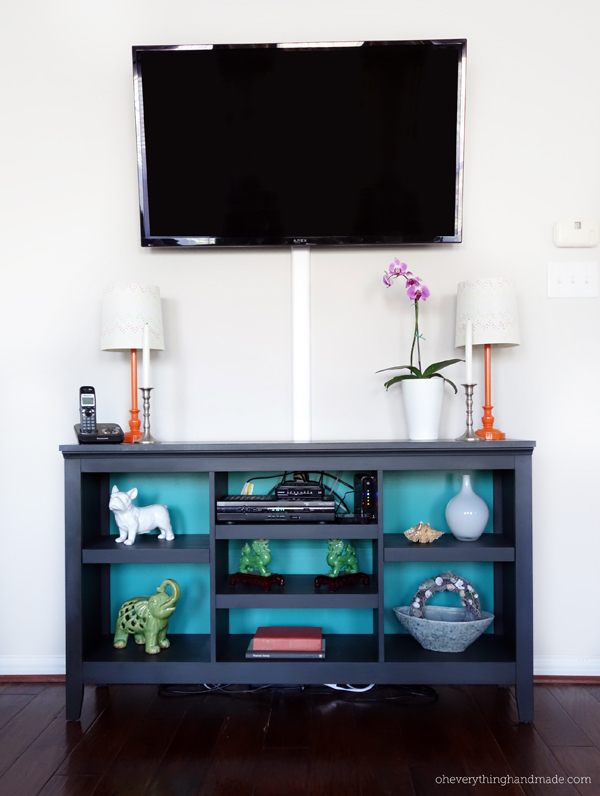 It can be hip, beautiful and can freshen up an otherwise boring space.